The Reverend Edwin Pond Parker was a talented and remarkable man. He left a lasting legacy in the lives of many of his parishioners, all of whom have died. But, to the rest of us born in more recent years, his legacy is one of hymns. 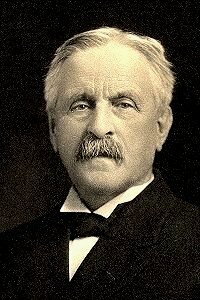 Parker, born in Castine, Maine, graduated from Bowdoin College then Bangor Theological Seminary. Then he, ordained a Congregationalist minister, began his remarkable career. From 1860 to 1912 he was pastor of the Second Church of Christ (South Church), Hartford, Connecticut, whose history he wrote. He was, for some of that time, also the chaplain to the state Senate. Seldom does anyone have so long a pastoral tenure. Parker’s term started with some controversy, which died down, thus enabling him to do the good work of a dutiful pastor for so long. Some dews of mercy shed. Parker died a few months after celebrating the sixtieth anniversary of assuming pastoral duties in Hartford, Connecticut. I highlight the work of a pastor, which many people do not notice and to which a host of individuals do not give sufficient praise. It is challenging and frequently thankless work, labor which many lay people, perhaps out of ignorance, are quick to criticize. Our saint labored in one congregation for fifty-two years, dealing with a variety of personalities. I can only imagine what that must have been like. to be a pastor in your Church and to feed your flock. separated the church into the old school and the new school, the conservative and the advanced. Father William Cowper Dickinson, a Presbyterian minister, played with Harriet Beecher Stowe when he was young. William, pastor of the Second Presbyterian Church, Lafayette, Indiana, in 1873, welcomed his son, Clarence, into the world. Clarence, impressed with church organs since very young age, had only one destiny, for which he was well-suited. He studied piano and organ as a youth and had become sufficiently advanced by age fifteen to assume the post of university organist at Miami University, Oxford, Ohio. Later he attended Northwestern University, where he chose organ over classical languages. Clarence’s life from 1892 to 1909 was eventful. For five years he played the organ at the Church of the Messiah, Chicago, Illinois. 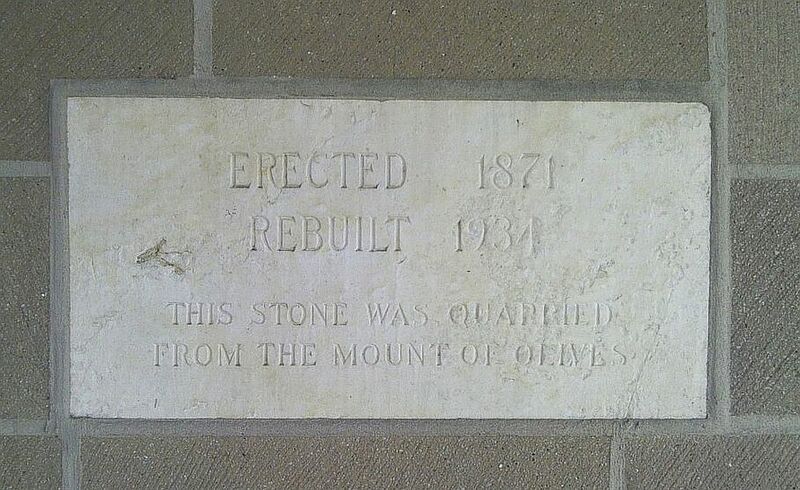 Then, in 1897-1898, he did the same at St. James Episcopal Church in the city. From 1898 to 1901 our saint studied organ in Berlin (1898-1899) then in Paris (1899-1901). In Europe he met his future wife, Adell, who earned her doctorate in philosophy from Heidelberg. They married in 1904 and she collaborated with him creatively, including on his nearly 500 choir anthems. Clarence led the Aurora Musical Club, Aurora, Illinois, from 1901 to 1906, then organized the fifty-member Musical Arts Society, devoted to performing classic works of church music, in Chicago. It hardly seems necessary to preach; the music has said it all. Our saint also contributed to the larger church. 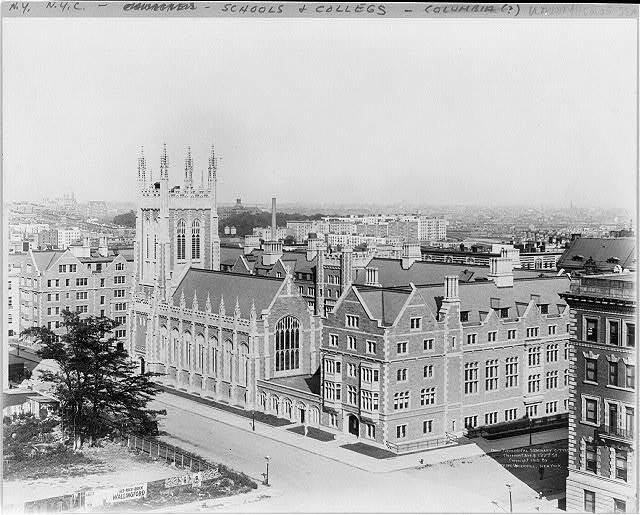 He founded the School of Sacred Music at Union Theological Seminary in 1928. 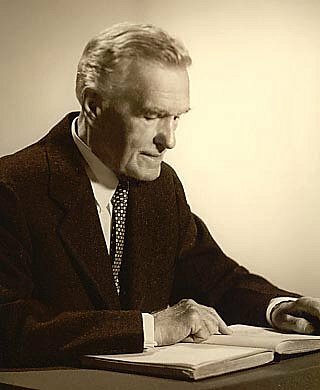 And he served as the Music Editor for The Hymnal (1933), which the Presbyterian Church in the U.S.A. used for over twenty years. Dickinson as served as the Music Editor of The Hymnal (1941) for the Evangelical and Reformed Church, a forerunner of the United Church of Christ. Clarence Dickinson devoted his life to glorifying God via music. His was a noble legacy. Most of the legacy of Julia Bulkley Cady Cory, as I have been able to discover it, rests upon one hymn. Yet, even with just that text and some information focused mostly on our saint’s early life, we know more about her than we do about many Roman Catholic saints. She is not on that calendar, of course, for she was a Presbyterian. But she has earned a space on my Ecumenical Calendar of Saints’ Days and Holy Days. Julia was a daughter of J. Cleveland Cory, a leading architect in New York, New York. 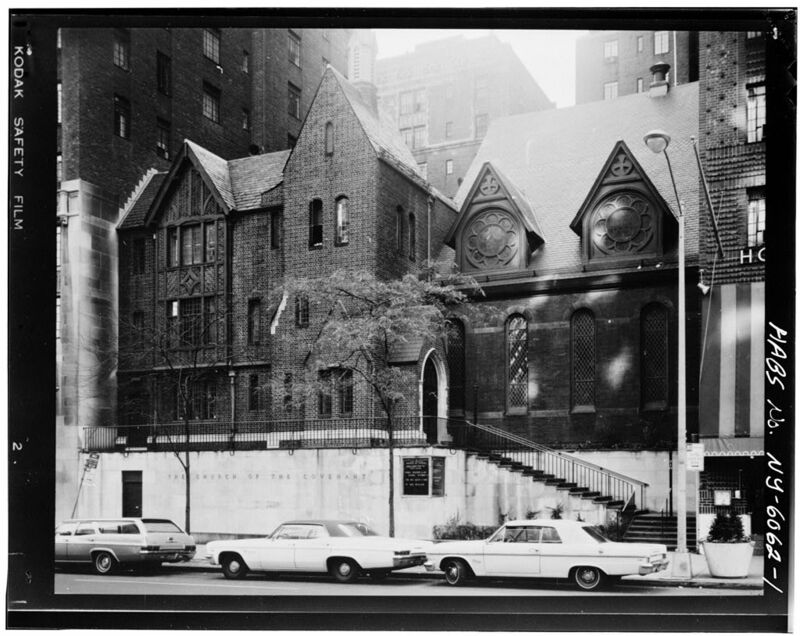 He designed the Museum of Natural History, the old Metropolitan Opera House, and the 1871 structure of the Church of the Covenant, which became part of Brick Presbyterian Church in 1893. The great architect served as Superintendent of Sunday School at Church of the Covenant. Through life’s storm and tempest our Guide hast Thou been. This hymn’s first publication occurred in Hymns of the Living Church (1910). Our saint married business man Robert Haskell Cory in 1911. She raised three sons, was active in the New York Hymn Society, and attended First Presbyterian Church, Englewood, New Jersey. She, active in community affairs, led a good life devoted to loving God, her family, and her neighbors. Julia Bulkley Cady Cory and others, who have composed hymn texts. Forceful and persuasive preacher, civic leader, trusted counsellor in affairs of Church and community, gracious interpreter of the things of the spirit through song and sermons; now completing his twenty-eighth year of service in his present parish, he has fulfilled all the desired qualifications of a faithful and devoted pastor. Crescent Avenue Presbyterian Church, Plainfield, New Jersey (1918-retirement, meaning at least through 1946). With sweet music fill the air! To the Lord in hymns of praise! All the worlds to Him belong! Countless stars by night that shine! Love is King where He doth reign! Lord of life and truth and right! Moment cared actively for and about others. Thus, in addition to what I have mentioned, he founded the Plainfield Community Forum in 1944. This organization continues to meet needs of people by working with public and private-sector partners to make a variety of programs possible for a diverse population ranging from the young to elderly. One program is Meals on Wheels, for example. John James Moment made a great and positive impact where he was. His legacy survives him, fortunately. May each of us likewise love God and our neighbors actively and effectively. O God, your Son came among us to serve and not to be served. Lead us by his love to serve all to whom the world offers no comfort and little help.